Just back from his epic journey along Italy’s stunning west coast for the ITV series Gino’s Italian Coastal Escape, everyone’s favourite Italian chef reveals the wonders of one of the richest and most varied cuisines in the world. drawing inspiration from the markets and kitchens he visited and the locals he met, Gino has brought together these authentic regional recipes for you to recreate easily at home. Many are seafood classics, such as Amalfi-style fish soup and spaghetti vongole, but there is a wide range of other savoury dishes and desserts as well. In addition, Gino shares some family recipes that he enjoyed when growing up in Campania, including his mother’s homemade meatballs and his father’s spicy calzone. 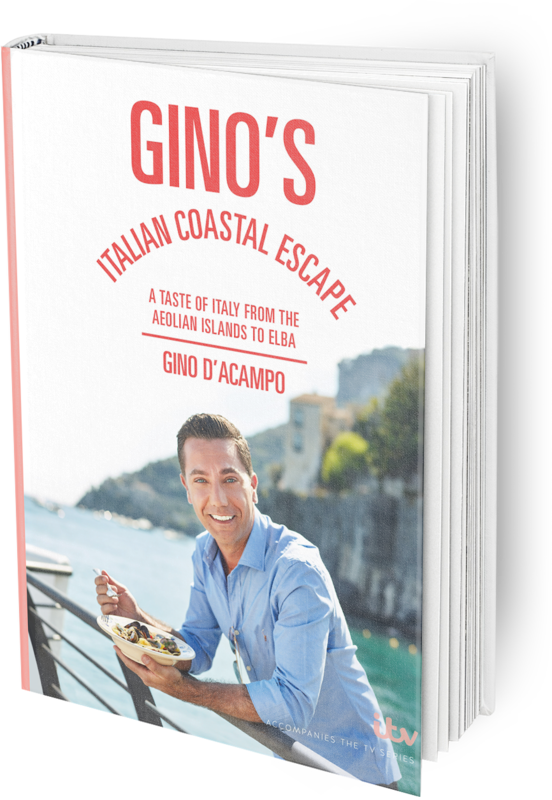 Click below to buy Gino’s Italian Coastal Escape or to view recipes from Gino’s Italian Coastal Escape.